This widget is perfect for countrywide surveys, product feedback forms, or basically any form which needs to identify a City in Mexico. The widget comes loaded with all the Cities in Mexico. 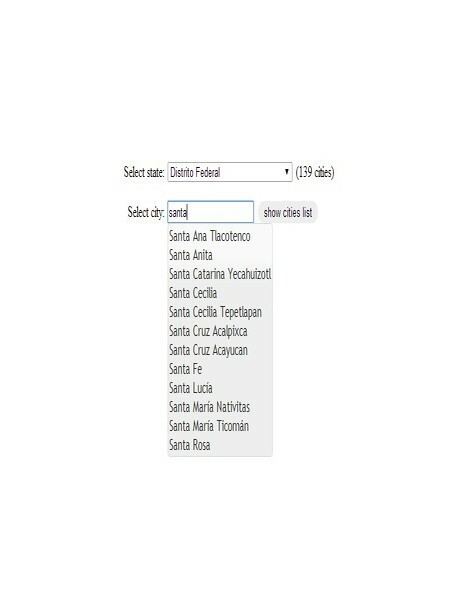 When a form user selects the state, a second drop-down box is automatically populated with all the cities in that state. The widget is easy to use, and requires no further configuration after adding it to your form.